Lowdown: Looking at key events from the USA's summer of 1927. Bill Bryson acquired his claim to fame with his travel writing. 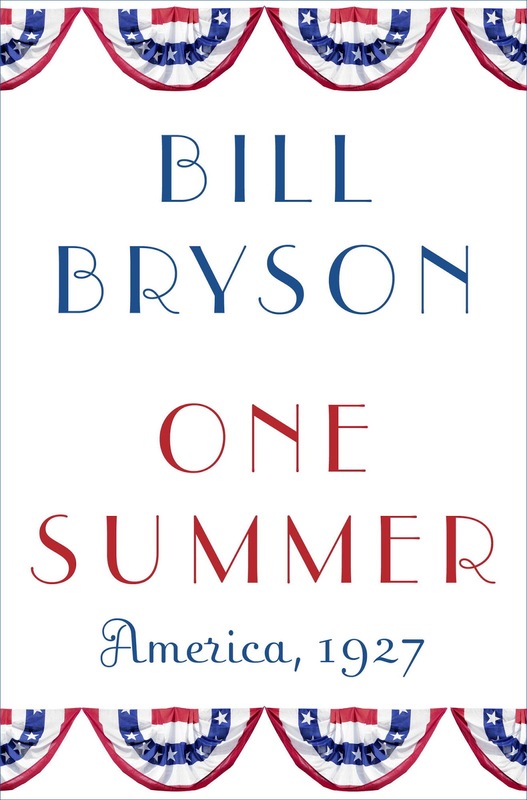 Through books like A Walk in the Woods and their entertaining yet enlightening tales of a normal person gone travelling, Bryson established himself as one of my favourite authors [also one of the influential ones]. Probably due to age, Bryson then ventured into personal history with The Life and Times of the Thunderbolt Kid. And Bryson saw all that he had made, and it was good; so he went forth and prospered into a writer of history. Not you average historian, though; Bryson's are works of amusing insight, popularising trivial and otherwise neglected facts into books that shed light into our very way of life. Shakespeare and At Home represent that trend. And now, adding color, comes One Summer: America, 1927. A book that does the same to America of 1927 as At Home did for our homes: a book that dissects key events of this otherwise forgettable year, analysing both how things got to where they got to during 1927 and how things ended up, and doing so while popularising seemingly trivial facts that history had otherwise neglected. Why 1927 America? Bryson never bothers answering this question; I suspect the answer lies in him coming from the USA and the period being otherwise forgotten, standing as it was between the calamities of World War 1 and the Great Depression. 1927 probably has the added advantage of being close enough to remember (I have living relatives who were alive during the summer of 1927) yet far enough for us to be able to draw relatively unbiased conclusion from. So, what were the key events of America's 1927 summer? By Bill Bryson's account, at least given the number of pages dedicated to the cause, the most important event was Charles Lindbergh's first ever flight across the Atlantic. Following up closely are the adventures of Babe Ruth, whose performance peaked that summer; the number of pages dedicated to Ruth will surely deter many readers who are not sport fans or, worse, do not like baseball. That number also betrays Bryson's own heritage, being the son of a sports journalist that he is. Obviously, there is more to 1927 than these two: there were bombings, mobsters, anarchists, and a bit of a weirdo president. There were even technological innovations, such as key live radio coverage events, a new Ford model and the beginnings of TV. All is told in Bryson's familiar style, but I'm afraid things do not work as well as they did in earlier Bryson efforts. Given the lack of a personal angle, events are harder to tie up together. Some times I even felt cheated by Bryson: after going on and on about the eccentricities of President Coolidge, the president who did not seem to want to be president, he tells us in a sort of a slip of the mouth that the son's president died as a result of a freak accident on the White House lawns. Could anyone be blamed for not wanting to be in the White House after losing a child there? More importantly, for a book dedicating as many pages as it does to matters of aviation, One Summer never truly seems to take off. Unlike previous Bryson books I never felt captivated by what I read. Sure, I was interested and I can honestly say I learned a lot from the experience, but One Summer was never a page turner; I felt it was my duty to finish reading it rather than my pleasure. Yes, it was better than the history books I've been forced to read at school, but that is no meaningful compliment. A book as long as One Summer should really do better. Overall: An interesting experiment that failed to interest me as much as it should. 3 out of 5 crabs; perhaps Bryson should focus on something sexier for his next book?